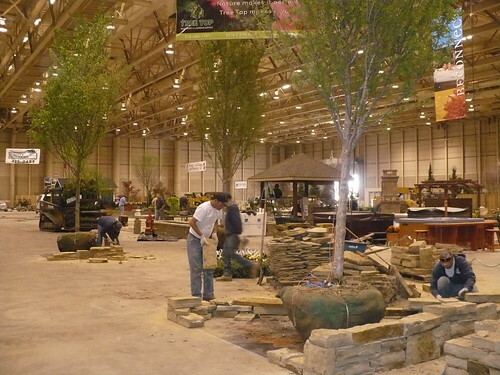 We are excited to have a booth (much smaller than last year) at the new Outdoor Living & Landscape Show that kicks off down at Century II on Friday! 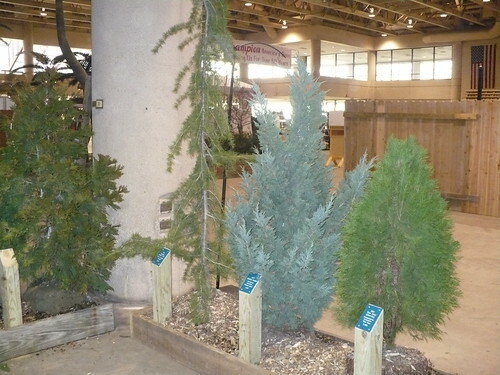 The theme of our booth this year is Evergreen Options for Kansas. 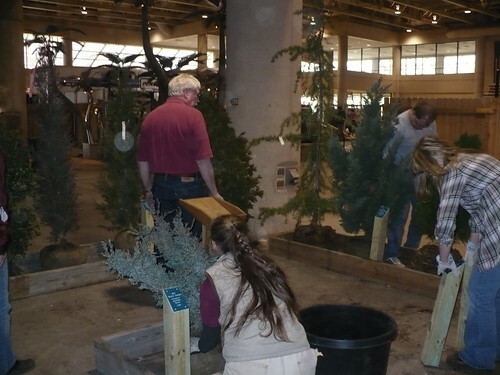 There are so many issues with pines in Kansas, from insects to diseases (especially Pine Wilt), that we need to be considering what are some other types of evergreens that we can plant in windbreaks and landscapes to provide some evergreen color and form. To get started, we needed a place to put the trees. The raised beds this year are definitely more functional than decorative! 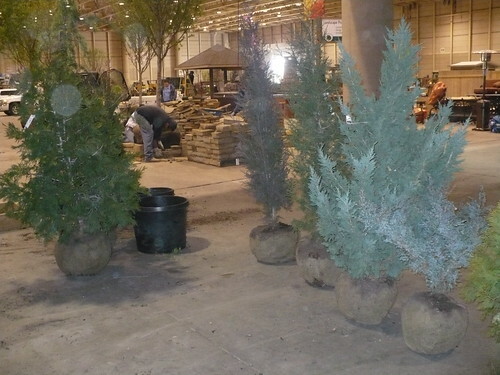 The trees are just hanging out, waiting to be placed. We tried to place the trees so that each one would show off its unique characteristics. Getting the trees and signposts in place and everything mulched goes much quicker when there isn’t a Hobbit House being built! With the first part of the booth setup done, we could take a peek at what else was going in on the show floor. 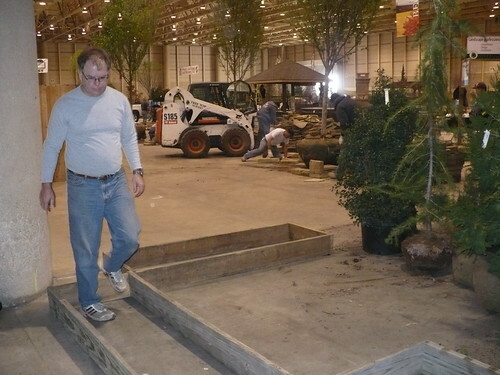 Most of the display gardens are in good shape, and we were impressed with what we saw. The stress level was so much lower than before and all the gardens look like something that someone could do in their own yard! Posted on March 1, 2012, in Upcoming Events and tagged 2012 OLLS. Bookmark the permalink. Leave a comment.